Matt Mullenweg and Mike Little originally created WordPres s in 2003 to serve as a well-built personal publishing device. 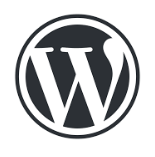 Since its creation, WordPress has evolved into a user-friendly blogging and content management system (CMS). Since it allows developers to easily install over 22,000 plug-ins and widgets to enhance the functionality of the site, it is extremely flexible and easy to use. WordPress is being used by more than 20 million websites worldwide including over 16.7% of Alexa Internet's "top 1 million" websites. At CommonPlaces, we love to use WordPress to build sites where content, such as blogs, is the main focus. It's a great landing platform for funneling users into more complex online applications or processing systems. Allows user to easily specific functionality via plug-ins. Contact us to learn more about building or updating your WordPress site today!